The president of Uzbekistan will pay a two-day visit to Prague on 21 Feb 2014. Human rights activists in Europe are preparing to greet Islam Karimov with protest rallies: Mutabar Tajibayeva, the head of the Fiery Hearts Club, promises that they will firmly demand Karimov free all political prisoners, cease tortures of detainees and inmates, allow an international inquiry into the Andijan events, ensure conditions for NGO activities, and guarantee the freedom of speech. Fergana interviewed Steve Swerdlow, a representative of Human Rights Watch, about President Karimov’s upcoming visit to Europe. I do not think that this is an all-European, not even an all-Czech, decision. As far as we are aware, Czech President Milos Zeman has personally initiated this visit. There are indicators emerging on varying estimations as to the correctness of the invitation extended to Karimov. Karel Schwarzenberg, a former Czech minister for foreign affairs, has recently criticized the upcoming visit. What could be the Czech president’s interest then? What does he need Karimov for? We observed a Czech delegation’s visit to Tashkent to discuss trade and economic cooperation about two months ago. Such visits and summits are often said to be organized for achieving such vague agreements on economic cooperation. But President Islam Karimov has for very long been seeking ways to meet Western politicians on very high levels, especially after sanctions were introduced following the Andijan events. We know that the Uzbek side has constantly been expressing interest in bilateral meetings at highest levels. What does Prague stand to lose with this visit? As we have recently written in an article Radio Freedom carried, this visit will be a serious blow on the Czech Republic’s reputation, which has long been serving as an example of a democracy in Central and Eastern Europe. 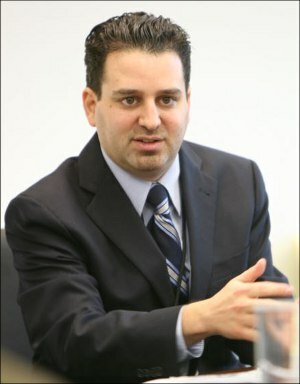 The Czech Republic’s role in advocating for democratic values is indisputable. 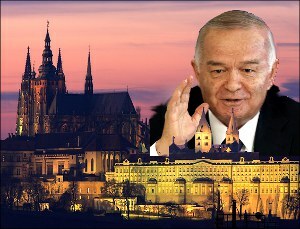 [Therefore,] Karimov’s visit to the Prague Castle will bear a negative nature from various viewpoints. It must be remembered that the Czech Republic joined other EU member-states in announcing sanctions against Tashkent in 2005. Many rights advocates in Uzbekistan know the Czech Embassy there as a most active side in the field of human rights; Uzbek civil activists are always received there. Karimov’s visit to Prague will be a signal to civil society. Furthermore, the Czech Republic admitted refugees after the Andijan events. These people will be both hurt and scared to see a man, who ordered to shoot peaceful demonstrators, on the Czech soil. If the upcoming visit takes place, then Milos Zeman will be the first head of such an important democratic and European state to receive Karimov on such a high level. The Uzbek president has recently visited Latvia, but it was at a different level. The Czech Republic is a symbol of democracy, a prestigious nation. A very interesting comparison. We have learned from several sources that Karimov was not invited to the Brussels by a head of state. The NATO invited him because of a role Uzbekistan plays in the NATO operation in Afghanistan. What is really curious is that Kathryn Eshton, the High Representative for Foreign Affairs and Security Policy for the EU, King of Belgium, and the Belgian minister for foreign affairs all turned out to be very busy on the day Karimov was in the Brussels. European Council Chairman Herman Van Rompuy was unable to meet with him as well. Only President of the EC Jose Manuel Barroso held a meeting with the president of Uzbekistan, for which he faced very serious criticism. During the meeting with Karimov, Barroso raised several issues in terms of human rights in Uzbekistan. But those demands were not met. With this backdrop, President Zeman is opening a new page in relations the Uzbek president is [rebuilding] with Europe. When Czech President will be pondering over criticism he is showered with for this invitation, he will have to answer the question of democratic values of the Czech Republic and Prague’s contributions to the development of democracy. He will have to recollect an experience the Czech Republic had in 2001. Milos Zeman must know that in the very castle, where Karimov will be received, ex-President Vaclav Havel received a guest from Uzbekistan in 2001. A well-known oppositioner, a dissident and a poet, Muhammad Salih, was arrested at the Prague airport at the request of the Uzbek authorities, upon his arrival from Norway at the invitation of the Radio Liberty. Salih was to meet journalists and speak to the radio station’s listeners. Those familiar with the Uzbek history remember that Salih had to flee Uzbekistan after the presidential elections of 1991 after he singlehandedly ran against Karimov. Salih did not win but international observers never said those elections were fair. When Salih was detained, Human Rights Watch and other rights watchdogs urged Prague not to extradite him to Tashkent. It was known already back then that Uzbekistan uses torture; Salih would had certainly been imprisoned for a long term. The HRW studied court documents: the hearing was reminiscent of the Stalin-era tribunals. Salih’s brothers were already imprisoned by that time and we knew that they were tortured. Several days after Salih’s detention, President Havel acknowledged the Czech authorities’ mistake and openly declared that he was certain Prague would not hand Salih over to Uzbekistan. He then invited Salih to the Prague Castle several days later. Although Salih’s arrest was a shame stain on Prague, the Czech authorities managed to correct the wrong and steered out of the situation, by calling once again to protect democratic values and to pay attention to the fact that the Uzbek authorities do not respect human rights. So this anecdote did not soil, but consolidated, Prague’s reputation. We believe that President Zeman still has time and must use his chance to cancel Karimov’s visit. If the Uzbek president wants to establish full bilateral relations with Europe, then he must prove to the world and the international community that he is ready to meet demands advanced after the Andijan events and reminded about in his meeting with Barroso in the Brussels. These demands are well-known: immediate release of political prisoners; immediately creating conditions for local and international rights advocates’ activities in Tashkent, including Human Rights Watch; allowing local and international journalists work normally in Uzbekistan. It is also necessary to establish cooperation with UN bodies, which means Uzbekistan must immediately invited UN special rapporteurs; 11 of them are currently requesting permission to visit Tashkent with official visits. Further, stop using child and forced labor; resume access for the Red Cross to penitentiaries along with several other demands. All these criteria, which can be used to judge the level of respect for human rights in a country, are published. And President Zeman signed them in October 2010 along with other European leaders. And when the Uzbek president meets these demands, only then the Czech president will be able to receive Karimov with clear consciousness in his castle.